I had a really great experience during my visit. 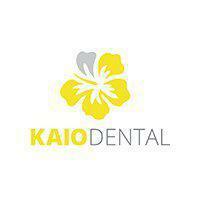 And I would highly recommend Kaio dental. Incredible experience. Beautiful office, state of the art technology, everyone was incredibly polite! Great first impression! Thank you for being so welcoming. Every experience here is a pleasant one! Dr. Tram is straight forward, and rather entertaining. His staff is absolutely top-notch and compassionate! I love coming here, and very much look forward to further visits. Such an amazing experience ! Karlie and Dr. Tram were great. Clean offices, polite staff. The fastest, least uncomfortable and thorough cleaning I've ever had! Dr. Tram took the time to introduce himself and find out what my goals and concerns were as a patient. The process was easy and Dr. Tram was understanding and laid back. This Hawaiian girl appreciates that. Staff was very friendly and made the visit an overall great experience. Very comfortable atmosphere!! All staff members very kind and helpful. Dr. Tram very thorough!!! Will go back!!! Went in really nervous knowing I was going to need a root canal. Dr Tram and his staff are top notch. Was expecting a bad experience and couldn't have been more wrong. I would recommend Dr Tram to everyone. Staff is great. Apt. was on time and enjoyable. First visit to a new dentist since moving to California. One of the nicest facilities I've been in with new equipment and the latest technology. Very impressed with Dr Tram's knowledge and services offered. Best dentist I have ever been to. Made me feel comfortable, the office was clean and inviting, and all staff were exceptionally professional and friendly. I finally found a dentist I will continue to see! The office is extremely nice, clean and professional. Loved the staff and Dr. Tram. Very personable. It did take quite some time to complete my two sons' appointments (2 hours for check up and x-rays and basic cleaning), but otherwise a great office. The visit was good. Staff were friendly. I just wanted to comment on one thing: my appointment was at 2pm. I arrived a little early as always to my appointments. It was super hot outside and I saw a closed sign at the door. I wasn't sure if I went to the right place but I looked inside from the tinted glass door and I saw people walking inside. I then knocked on the door hoping someone would let me in because I was getting cooked. However, no one came and it was 1:53. I waited another 5 minutes or so in the hot air under the sun. I complained to the front desk when I finally got in and she said their lunch time is from 1 to 2 so no one could be there to open doors. I was seriously irritated. I didn't go back to my car to wait because I thought they would open the door for me and to me it's ridiculous to know the door wouldn't open until 1:58! So next time if you have a 2pm appointment, be late for that unless you wanted to get cooked under the sun.